In the past month I’ve lost less than 2 pounds. TWO. 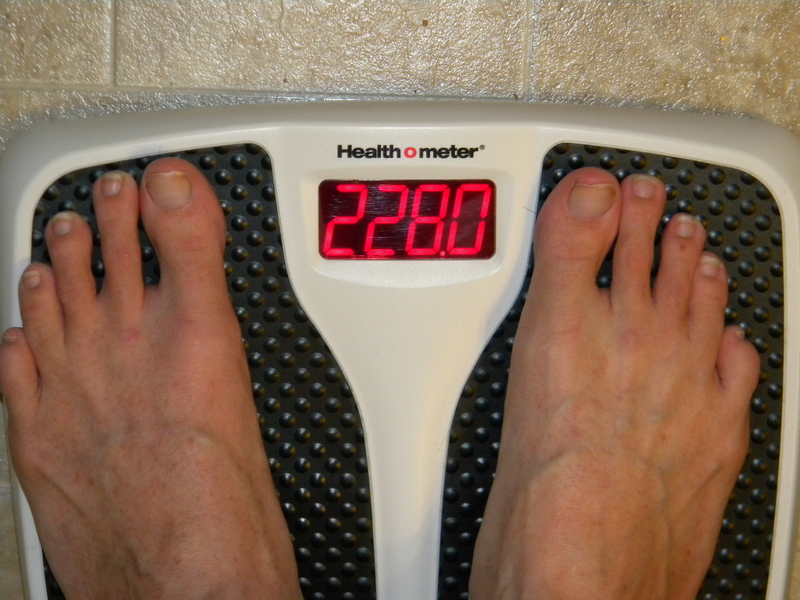 Two pounds is how much experts say is healthy to lose in a week, not a month. If I was on the Biggest Loser then I’d be losing…and not in the good way. That should be depressing, right? However, I measured this morning and I’ve lost an inch on my waist alone in that same month. Taking these measurements has been motivational when I wanted to stick my tongue out at the scale and call it a liar. I’ve been getting more and more people noticing that I’m shrinking (I like using that word because it implies perpetual action). In the past month on the few areas I keep measuring I’ve lost more than 4 inches….in. a. month. Honestly I have no idea if that is normal or expected, but it feels extraordinary! This week I’ll be checking out a gym and working on alternative workout options. Bought some yummy veggies and am working on eating more of those and less carbs. Carbs = sugar for diabetics like me. Stress and carbs make my blood sugar shoot through the roof which gives me a headache right behind my eyes and makes me want to nap. I’m taking 13 credit hours in school, have 3 children, and want to get pre-approved for a home loan in the next month. When do I have time to nap? This morning I did not take my husband to the airport. Sixteen years and I still want to be the last thing he sees before he leaves town and the first thing he sees when he gets back. But today…today his flight was interfering with my Friday morning weigh in routine. When I told him I didn’t want to miss exercise class I only half meant it. I wanted to miss class and kiss him at the curb before his weekend away! 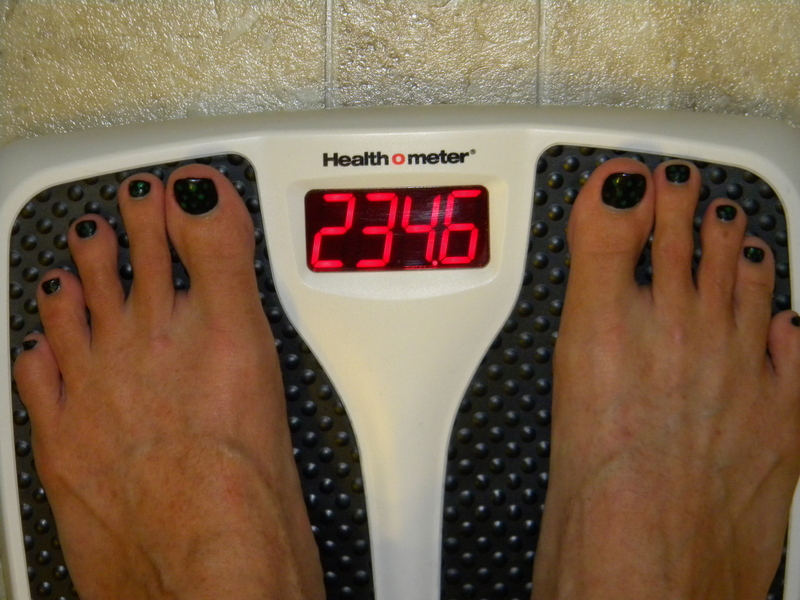 But more than that I wanted to get my workout in and do my neurotic weigh in routine. He wasn’t phased one bit. I pouted a little, but he assured me that my priorities were in the right place. I love that man! 1.6 lbs. down this week! Before I went back to college as a “reentry student” I spent too much time watching TV. I’d watch while I folded laundry. I’d have it on in the background while I blogged or cleaned house or made dinner. I would just sit and watch anything that even remotely looked interesting. Tonight I sat in front of the TV for longer than I have spent watching the entire rest of October: 2 whole episodes of Grey’s Anatomy (and I’m still not caught up). I’ve decided that 2 hours of (mostly) uninterrupted TV is a good reward for me these days. Of course, I only have time to watch TV on Fridays or maybe Sunday afternoons. But lucky for me I weigh in on Fridays and (if all goes well) will be looking for a non-ingestible treat! Yesterday here in beautiful Southern California in October it hit 103 degrees farenheit. In October. Not my kind of change. After school it didn’t take much for the kids to persuade me we needed to go to the pool. The pool for which the heater has been turned off for the season. My middle child jumped in then said, “I’m refreshed. Can I go home?” It was THAT cold. But we stayed. And while we swam I noticed something peculiar: the board shorts I bought at the beginning of the summer fit me so much better! When I first got them the slightest movement would pop the velcro front open. I swam the whole day without the embarrassing pop. Woo hoo! That just confirmed to me that I need to follow in Aim’s footsteps and measure. This morning after I weighed in and before I was fully clothed I pulled out my tape measure and created a spread sheet (not with the tape measure – it was two different things – in case you were confused). Maybe I’ll share with you at some point. Maybe. I lost over a pound, so you’d think “Good week!” Right? But I know I didn’t do as much exercise as I could have. This week, I plan to get at least 4 workouts in. Four. That’s doable. And I’m sticking to my pledge to Rae – no candy.